So, Randy, Nedenah, Nukes and I were at the Hunter College Train station waiting for the "6" after a particularly exhausting night. I had noticed that we had been waiting for a longer time than usual, when I heard an awful sound. It was loud and grating and a little scary. I said "what is that?" Nukes calmy replied thats the Garbage train. Then I saw one of the funniest things in the world. 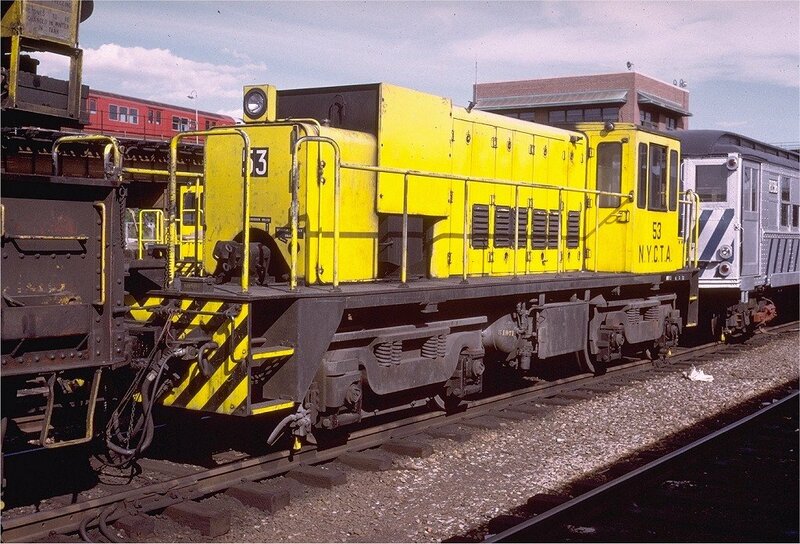 This yellow monstrosity came lumbering down the tracks usually reserved for the "6." Upon seeing this sight Randy howled "GAARBAGE TRAAAAAAAAAAAIN." My mood quickly turned from frightened to goofy. For the rest of the night Randy and I with Nedenah in tow sang songs and regailed the tail of the humble yet massive garbage train (actually a maintenence vehicle) and all its good deeds. Bless you garbage train bless you. Yay! Keep me updated when you develop lyrics!